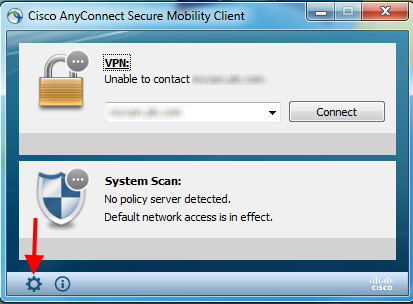 This error appears when attempting to make a connection to the VPN. 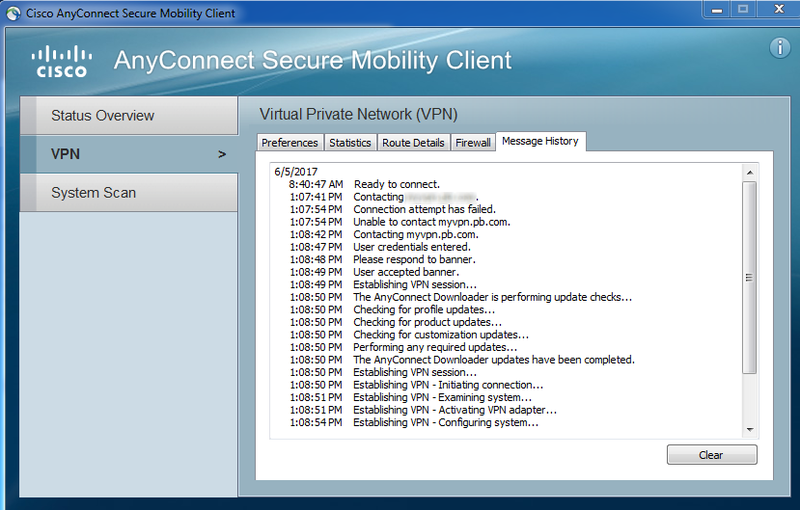 Select VPN, and then select Message History. These type of errors are usually some SSL/TLS issue. 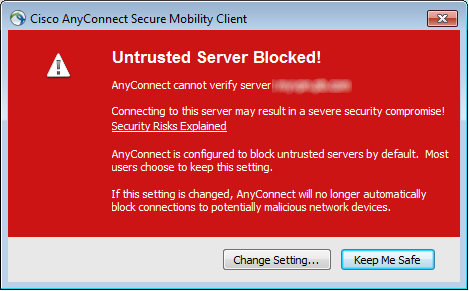 Run a Wireshark capture on the PC getting this error, and see if there is some issue with the key exchange. 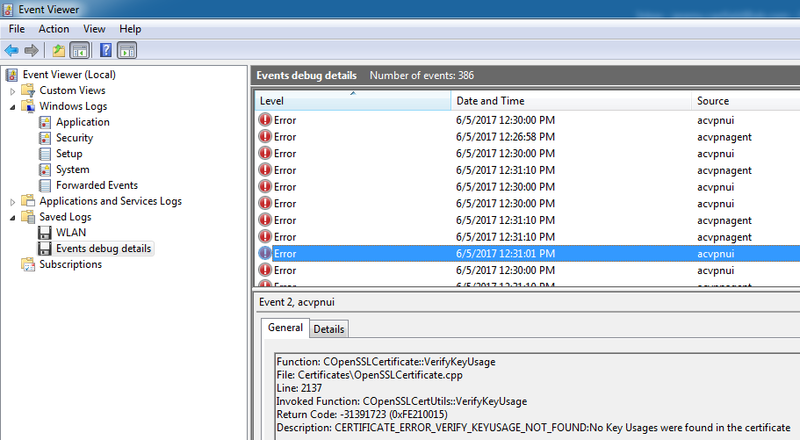 In this example, when the error appeared, the Event Viewer captures certificate related issues.